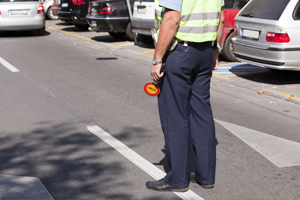 If you’re planning on running a large event that is likely to attract upwards of one thousand people, the chances are that you will need to employ a private Traffic Management Security Company. There are many reasons that you should consider hiring a traffic management firm – not least the fact that most councils and local authorities will only grant permission for the event to be held in the first place on the premise that adequate traffic management will be drafted in to minimize the impact on local residents. It’s of paramount importance that you spare a second thought for the traffic management at any event that you plan. If nearby roads become congested there’s a chance your event could come to a standstill – so make sure plans are put in place to ensure that nearby roads run smooth so that everyone can get in and out of the vicinity of your event at their leisure. If traffic management isn’t something you’ve ever had to deal with before, don’t worry, because we can help you, being one of the leading Facilities Management Companies in the UK. us today to see how our team of traffic management officers can help.